From a story written and illustrated for the MIT Graduate Program in Science Writing. In New England, winter is for gull-watching. I stood on Jodrey State Fish Pier in the fog and drizzle of a late Friday morning in January, inside a roiling cloud of gray and white birds. A stocky fisherman in orange foul-weather gear had just thrown a bucketful of old bait into the water in front of me. Pungent scent wafted up, mixing with the salt air. The gulls perched on pilings, paddled on the water, and whirled in arcs over the floating debris. They were calling stridently, scuffling over fish chunks, releasing streams of white droplets as they jockeyed for position on the wing. I was in Gloucester, Massachusetts, but the scene could have been from almost any working waterfront. To a casual observer, the winged flurry probably looked like just another bunch of seagulls—hundreds of indistinguishable birds. I squinted at the swirling flock. Yes, it was full of Herring Gulls, the kind of bird that looks like everyone’s idea of a seagull. There were gray-and-white adults, sporting pale pink legs and a yellow bill tipped with a red dot. Mixed in here and there were brown-mottled juveniles at varying stages of development. But I knew there must be more to the flock than that, and I kept looking. The black wings were the first thing to jump out: a Great Black-backed Gull gulping down a piece of fish, bigger than the gulls around it, looking like a bully on the playground. As I scanned the crowd, I saw that some of the brownish immature gulls were just a little larger, paler, and more checkered-looking than the rest. They were young Black-backeds rather than young Herring Gulls. Then I noticed what looked like a Herring Gull in miniature: a Ring-billed Gull, well-known haunter of fast food parking lots and garbage dumps. Size can be hard to judge on a flying bird, but the Ring-billed was set apart just by the contrast of its darting, buoyant flight against the steadier wingbeats of the bigger gulls. As for the black ring on its bill, or its yellow feet, well, I knew better than to try and pick those out from a distance. Those species are the usual suspects, common here year-round. But winter is special, because it’s when arctic gull species migrate in to escape an even fiercer winter up north. It took me a minute, but then I found them: two Iceland Gulls circling on the outskirts of the flock, shyer, paler, and more delicate than Herring Gulls. And there, on a partly submerged plank across the way, stood another arctic bird. A young Glaucous Gull, as big as a Great Black-backed but nearly white all over. Bringing the flock up to five species. Just a bunch of seagulls? I think not. To be fair, telling gulls apart can be a real pain. There’s always a strong family resemblance—grayscale palette, formidable bill, webbed feet, saucy attitude. That's probably because in the several million years since one gull species started splitting into many, their lifestyles haven’t diverged so very much. Most gulls are generalists that snag all kinds of food in all kinds of ways, whether it’s hunting for bugs or fish or eggs, or scavenging, or stealing your sandwich. When it comes to athletic abilities, they’re all triple threats: they can swim and walk as well as fly. Form is tied to function, so it’s no surprise that gulls all look somewhat alike. But if you scrutinize the fifty-plus species scattered across the far reaches of the earth, you'll find some subtle (and not-so-subtle) variations on the theme of gulldom. The Sooty Gull is so dark it’s almost black. The Little Gull is the size of a dove. The bulbous-eyed Swallow-tailed Gull of the Galápagos Islands is fully nocturnal. The Ivory Gull is pure white and has extra-developed claws for clinging to ice in the Arctic. The Dolphin Gull from the tip of South America has a fire-engine-red beak, and during the breeding season its diet consists largely of sea lion turds. And actually, some gulls aren’t affiliated with the sea at all. The Gray Gull nests in the Atacama Desert of Chile. The Andean Gull lives high in the Andes, four or five thousand meters above sea level. Franklin’s Gull of the North American prairies may spend its whole life in the interior of the continent, where lakes and rivers are the closest thing it has to an ocean. No wonder birders cringe when they hear the word “seagull.” Lumping all that diversity into one inaccurately named category—it's an affront to the principles of identification. Standing next to me at Jodrey Pier was someone who surveyed the winter flock with a far more discerning eye than my own, at least where identification was concerned. Jeremiah Trimble, a lanky, sandy-haired gull fanatic in his thirties, has been a dedicated birder ever since he was a kid growing up on Cape Cod. For the past decade or so he has also been the curatorial associate of ornithology at the Harvard Museum of Comparative Zoology. Every weekend in the winter, Jeremiah embarks on the fifty-minute drive from Cambridge to Gloucester to make the rounds of all of the best gulling spots—Jodrey Pier, Niles Pond, Eastern Point, the Elks Lodge. He especially hopes for vagrant birds that have been blown far off course while migrating. That’s another reason for watching gulls in the winter: the tantalizing possibility of seeing a real rarity. For instance, he'd recently gotten photographs of a Slaty-backed Gull, a bird normally found between Japan and Alaska. That's right, not only can these crazy birders distinguish between dozens of gull species, they know the differences between first-year, second-year, and third-year birds. They're unfazed by transition plumages when gulls are molting. They can even point out gulls that appear to be hybrids, like an especially pale Herring Gull that could have had a Glaucous Gull for a parent or grandparent. Hybrid gulls are a fascinating case: living proof that sometimes “species” aren't really separate, because they haven’t yet managed to extricate themselves from each other. In another few thousand years Herring Gulls and Glaucous Gulls might completely split apart or they might remerge, depending on chance and the environment. It all goes to show that gull identification is hopeless, mind-bogglingly hopeless. Gulls will never fit into neat compartments. Not only are they hard to tell apart, sometimes they can't be told apart. So why identify? It seems like we just can't help trying to figure out who's who. A botanist I know described the pleasure of recognizing plants everywhere she goes: “It's like seeing friends!" Sure, birders and botanists might be extreme examples. But to some degree we all name and categorize living things, accurately or not, and I think it brings us closer to our fellow inhabitants of earth. I think that’s why I was drawn to the waterfront on a raw winter's day. That's why I was standing with my binoculars on the fringe of a whirling flock, peering from gull to gull, asking who are you? Some of these were actual gulls, while others were species of terns and jaegers, which we now recognize as gull cousins. Others were simply large, white, ocean-faring birds—gannets—which bear only a superficial resemblance to gulls. Ray’s finishing touch was to partition the gull-like birds into two groups based on similarities in their toes (feet seemed to be one of his favorite taxonomic criteria, for some reason). The next big step toward order came a few decades later, when the Swedish taxonomist Carl von Linné—better known by his Latin nom de plume of Linnaeus—set up a now-ubiquitous system of nested groups (Kingdom, Phylum, Class, Order, Family, Genus, Species) into which he attempted to file every living thing on earth. In the 1750s, as part of his magnum opus Systema Naturae, Linnaeus grouped the gulls into a single genus that he called Larus. He declared that this genus had six species in it, and added five more in 1766. Like Ray, Linnaeus didn’t get everything right. One of his “gulls” turned out not to be a gull at all, but what we now call a Parasitic Jaeger—a beefier, more predatory version of a gull. And needless to say, Linneaus’s 11-species group overlooked most of the world’s 50-odd gull species. But shortcomings aside, Linnaeus’s efforts created order where there once was chaos, laying the foundation of modern taxonomy. As he did for all other organisms, Linnaeus gave every gull species two Latin names: for example, he bestowed the name Larus marinus upon our friend the Great Black-backed Gull, a gull found not just in New England but on European shores as well. Larus was the genus name, and marinus designated the bird as a particular species within that genus. Nowadays, a species is usually considered to be a group of individuals that can interbreed, and a genus loosely refers to a group of species with a recent common ancestor, but in the eighteenth century those definitions hadn’t yet come into being. 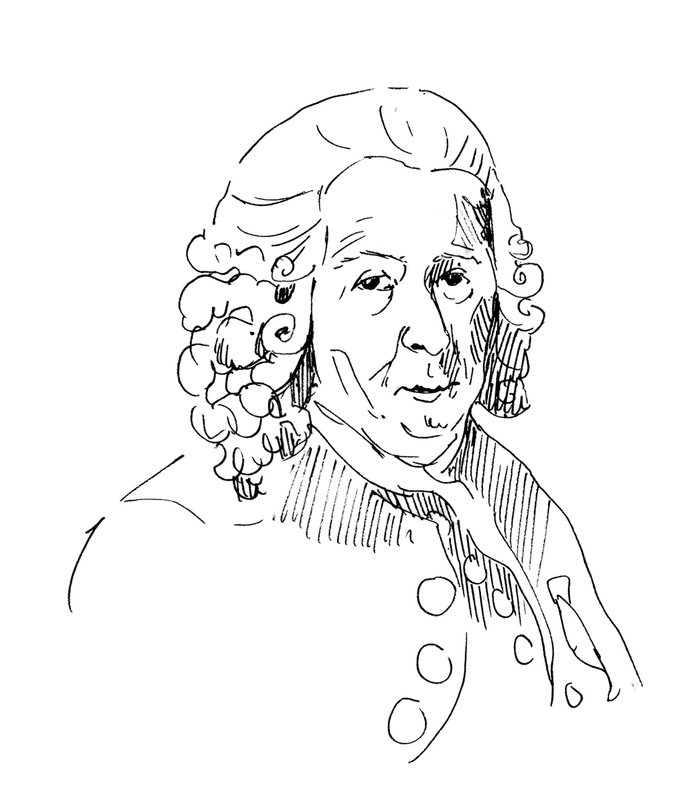 Linnaeus’s groupings reflected his observations of the present rather than any speculations about the past. It wasn’t until Charles Darwin published On the Origin of Species in 1859 that people really started thinking about resemblances between species as family resemblances. In his treatise on evolution, Darwin used an image of a “Tree of Life” to illustrate an example of the relationships between species. He drew branching lines to trace the supposed path of evolution, starting with an ancestor at the base of the tree and ending with each of the modern species at the tips of the twigs. A contemporary of Darwin's, the German taxonomist Ernst Heinrich Philipp August Haeckel, grabbed this image and ran with it: he drafted up a genealogical tree for all living things, complete with bark and twigs. The coiner of many well-known scientific terms, including ecology and phylum, Haeckel also came up with the word phylogeny to refer to the evolutionary history of organisms. The evolutionary diagrams that so entranced Haeckel later became known as phylogenetic trees, often shortened to phylogenies. For the first time, the identities of living species were being treated as a culmination of past events. And for the first time, each interesting body part or behavior was being evaluated as a clue for reconstructing history. Still, it took a while for taxonomic efforts to gel around the idea of evolution. The first time someone made a really thorough effort to put gulls in their evolutionary context was in the 1920s, when a New Yorker named Jonathan Dwight set out to construct a gull family tree. Dwight was a trained as a physician, but his real passion had always been birds: his college roommate at Harvard remembered him getting up at three in the morning to climb trees and collect eggs. He was in his sixties when he turned to the taxonomy of gulls. Dwight spent countless hours in the American Museum of Natural History in Manhattan, comparing the color patterns and body structure of the different gulls. In 1925 he published a huge article, over three hundred pages long, in the museum’s bulletin: The Gulls (Laridae) of the World; Their Plumages, Moults, Variations, Relationships and Distribution. It included 195 drawings of gull wings and tails, spread to show the patterns on the feathers, and 26 drawings of gull heads and feet. It showed table after table categorizing the species by their sizes, their toe lengths, their bill shapes. Dwight turned the “family resemblance” idea into a systematic endeavor. Trying to figure out how to best account for all of his measurements, he drew up a family tree that categorized seemingly related species in nested groups. Dwight’s tree was spare and practical, oriented horizontally instead of up and down—nothing more than Latin names bracketed and arranged. It split the gull family—Laridae—into two big branches: one made up of mostly large, white-headed gulls, like the ones at Jodrey Pier, and the other made up of mostly small, dark-headed gulls. Not everything fit neatly into the two groups, but Dwight did his best. Taxonomists like Dwight gathered some of their data from live animals, by observing or capturing them in the field. But it was museum collections—essentially repositories of dead animal specimens—that were the real bread and butter for taxonomists in Dwight’s era. Nowadays, Jeremiah Trimble is in charge of just such a collection: the bird section of the Museum of Comparative Zoology (or MCZ) at Harvard, Dwight’s alma mater. Along with collections of mammals, fish, insects, mollusks, and other creatures, the bird specimens are housed in the same complex as the better-known public displays of the Harvard Museum of Natural History, just northeast of Harvard Yard. It was a cold, sunny afternoon when I arrived at the MCZ and made my way up to the fifth floor. An antique radiator was clanging loudly, and sunlight poured in from the big windows on one side of the room. There was no question that I’d found the bird department. From a pedestal on the large central table, a mounted Adjutant Stork presided over the room, peering down its enormous beak at me with glassy eyes. Tucked under its long legs was a skeleton of a Great Auk, an extinct relative of puffins. On one wall, next to a pendulous nest that hung from the ceiling, were three whole shelves of bird skeletons, looking like little dinosaurs. From their beaks and general shapes I could pick out some of the more obvious IDs: a flamingo, a parrot, a toucan. Trimble looked as at home there, slouching with a cup of coffee next to a stuffed Cinereous Vulture, as he did with a pair of binoculars on the waterfront. He and the department’s curatorial assistant, Kate Eldridge, obligingly dropped what they were doing and gave me a personal tour of the bird collection. I followed them down hallways and into cavernous old rooms, learning which bird families were stored where. Some of the rooms were outfitted with new storage containers—the raptor room was like an unusually well-maintained laundromat, stark and white, its rows of storage containers reminiscent of washing machines—but others looked like they hadn’t changed since the early 1900s. The gull collection was in one of the latter. It was a high-raftered room with long rows of multi-door plywood cabinets, ten feet tall, painted a queasy pale green. Each cabinet door opened to reveal slide-out trays. Unlike the lifelike stork and vulture that greeted me at the door, most of the MCZ’s bird specimens are simply stuffed skins, prepared for space efficiency. Eldridge opened a cabinet at random and pulled out a few trays to show me ranks of iridescent hummingbirds lying on their backs with ID tags tied to their feet. I couldn’t decide if the place reminded me more of a library or a morgue. The gulls were kept in seven cabinets occupying nearly an entire row. To complicate matters, the narrow aisle next to that row was crowded full of enormous wooden dressers. Eldridge and I spent half an hour shoving dressers back and forth, clearing out space to open the gull cabinets (later I found out what was inside those dressers: the museum’s eggshell collection). Apparently the gulls had not been in high demand recently. Eventually we had enough room to unlatch one of the cabinets, swing the door open, and slide out a tray. The gulls lay there stiffly and mutely, with cotton protruding from where their eyes used to be. Most of them had been shot, skinned, and stuffed by some naturalist or another, decades before. I pulled on a pair of purple rubber gloves from a dispenser and gingerly picked up a Sabine’s Gull, laying it on a white cardboard pallet. “Hooper Bay, Alaska – July 1, 1910,” read the yellowed tag on its foot. I also selected a Swallow-tail Gull from the Galápagos, collected around the same time. Taking the two specimens into the main room, I set them down on the table under the disconcerting gaze of the Adjutant Stork. The specimens had flattened slightly against the surface they had been lying on for a century, and their beaks and feet had faded, but they still information to impart. They’re the only two gulls with forked tails, and they both have dark heads and red eye rings.Though the two specimens had some striking similarities, Sabine’s Gull was a lot smaller. Taxonomists like Dwight made careful comparisons of such specimens. They not only looked at qualitative traits, like plumage color, but also made meticulous measurements, using calipers for the beaks and feet, rulers for the wings, scales for weighing. But no matter how scrupulous their methods or how systematic their approach, taxonomy still came down to a judgment call. Species A and B might have different plumage but similar shapes, while Species B and C might have the same plumage but different shapes. Now imagine fifty more species, each with different combinations of plumage, shape, and other traits. Throughout much of the twentieth century, gull taxonomists tried to figure out which traits were the most closely tied to evolution. They learned that colors and patterns tend to evolve very quickly in response to selection pressures, with visible changes that are disproportionate to the overall change in genome. Gull researcher Niko Tinbergen of Oxford tried to shift the emphasis onto traits like mating behavior, which seemed less prone to wild fluctuation over evolutionary time. In the 1950s a student of Tinbergen’s, Martin Moynihan, published a family tree of gulls that incorporated not only their visible traits, but their vocalizations as well. Yet with nothing else to go on but natural history data, taxonomists seemed to be doomed to forever shuffle and reshuffle the gull family tree—giving weight to one trait or another—without having any way to prove that one version was the most valid. Phylogenies couldn’t move forward—and taxonomy, arguably, couldn’t become a science—until biologists found a better way of comparing species. They needed a trait that was more exclusively tied to relatedness. A trait that changed at a predictable speed without being skewed by environmental pressures, and that depended less on our subjective judgment of what constitutes family resemblance. In the mid-twentieth century, they found something. Read the rest of the story.